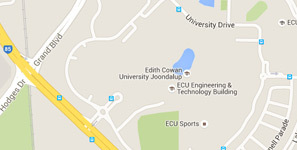 Welcome to Kurongkurl Katitjin, Centre for Indigenous Australian Education and Research at Edith Cowan University. Kurongkurl Katitjin, pronounced koor-ong-kurl cut-it-chin, is a Nyoongar phrase meaning “coming together to learn”. Our mission is to “provide excellence in teaching, learning and research in a culturally inclusive environment that values the diversity of Indigenous Australian history and cultural heritage". Highly respected Aboriginal women, Ms Kate George and Ms Rachael Maza, have been recognised with honorary degrees. Indigenous Australians die from heart disease at double the rate of other Australians. Read more on how ECU Cultural Ambassador Noel Nannup took part in the Heart Health program recently. The Australian Indigenous HealthInfoNet at Edith Cowan University has published a new Review of cancer among Aboriginal and Torres Strait Islander people. Aligned with ECU priorities, research is a high priority for Kurongkurl Katitjin. The Australian Indigenous HealthInfoNet are a Level 2 Research Centre within Kurongkurl Katitjin.